Poly(vinyl alcohol)/hydroxyapatite(PVA/HA) composite hydrogel was successfully in-situ synthesized via three cycles of freezing-thawing. The composition and structure of products were investigated by X-ray diffraction(XRD), Fourier transformed infrared spectroscopy(FTIR) and scanning electron microscopy(SEM). The influence of different preparation methods and contents of material on the mechanical properties of PVA/HA composite hydr ogel was discussed through tensile and compressive tests. The template of PVA could avoid the agglomeration of HA particles, which improves the mechanical properties of the composite hydrogel effectively. The tensile strength, modulus and compressive performances of the PVA/HA composite hydrogel prepared by the in-situ synthesis method were better than those of hydrogel obtained by the simple blend method. In addi tion, the effect of the content of PVA, HA, and the pH value on the properties of the PVA/HA composite hydrogel has been discussed in detail. 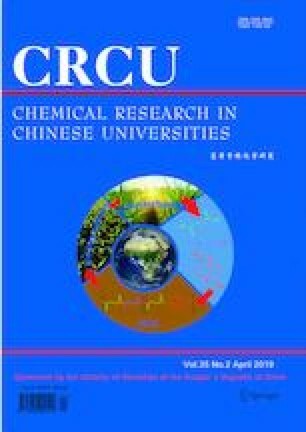 Supported by the Science and Technology Development Plan of Changchun, China(No.17DY019) and the Cooperative Project of Changchun JA Biotech Co., Ltd. and Jilin University, China(No.3R116W751412).